It’s every denimhead’s dream, finding that one coveted item in a pile of junk. And that’s just what Mako from Clutch Magazine did at Denim Boulevard in Milan! 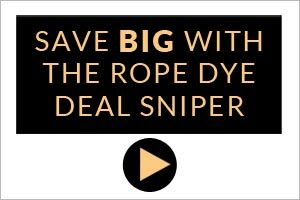 Last year Rope Dye packed its bags and headed off to Milan for the Denim Boulevard. 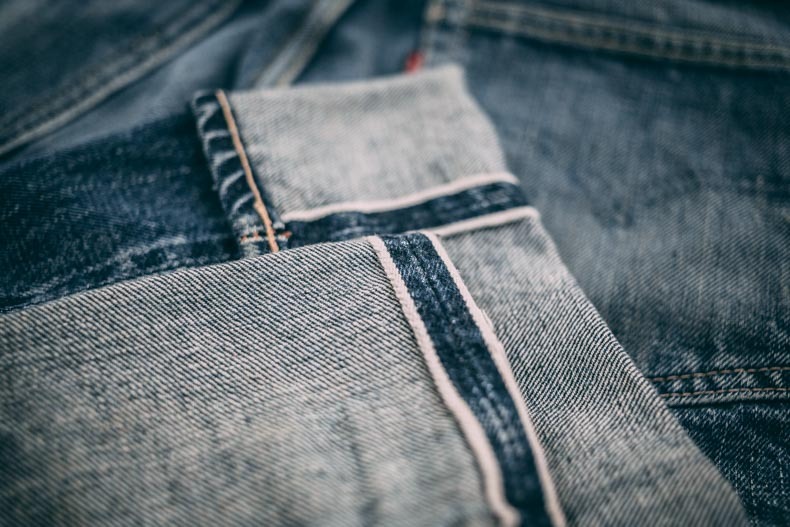 Denim Boulevard, as its name suggests, is a celebration of all things denim and denim-related, celebrating the history of the worlds most beloved fabric. 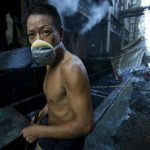 The event takes place over two days in the heart of Milan and is open to the public and professionals alike. In the three halls of Torneria, the new location for 2017, visitors found a selection of brands from around the globe representing the very best in the world of denim. There was also a market place for vintage items, and this is where our story begins. Present at the event was the Japan based Clutch Magazine. 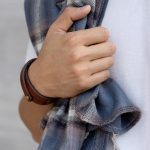 Most of us will be very familiar with Clutch as it is the go to bible for all things denim coming out of Japan. Staffing the Clutch stand was Taka Okabe (a familiar face at such events) and assisting him was Mako Izutsu. Mako has a keen eye for all things vintage and in a break went to peruse the selection at the vintage market stall. That’s where she struck Blue Gold. 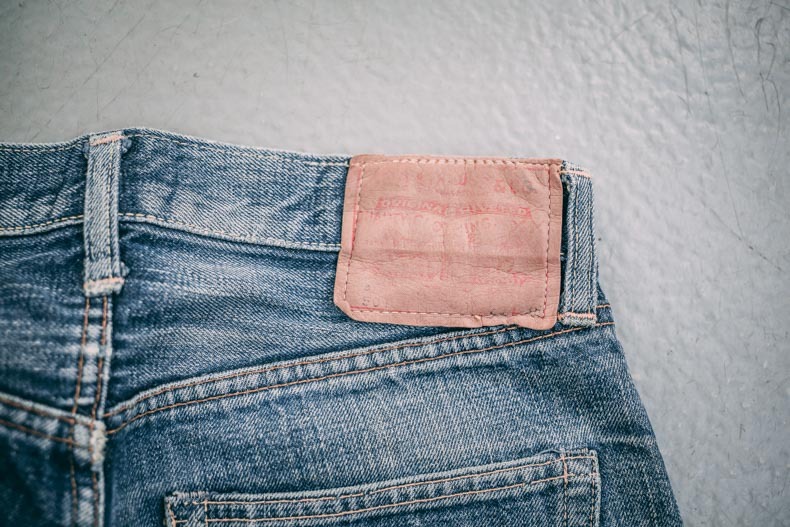 In amongst the piles of denim cut-offs from the 80 she discovered a pair of Big E 501s, exactly in her size! Now Mako is lucky in a couple of ways here. 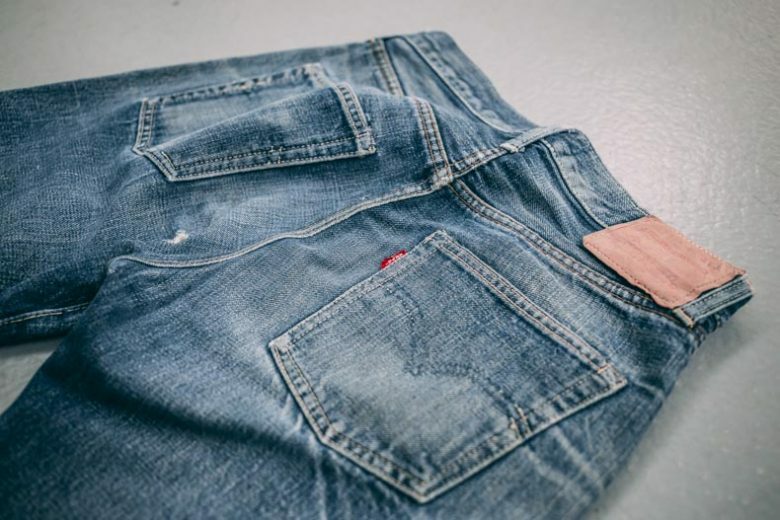 For one thing, she found the jeans in the first place and her petite figure meant that the smaller sized jeans, although rare, don’t command the same demand, or the same price tag. What do you think she paid for these vintage Big E 501s, the holy grails of vintage denim hunting. 90 Euros. Incredible right! 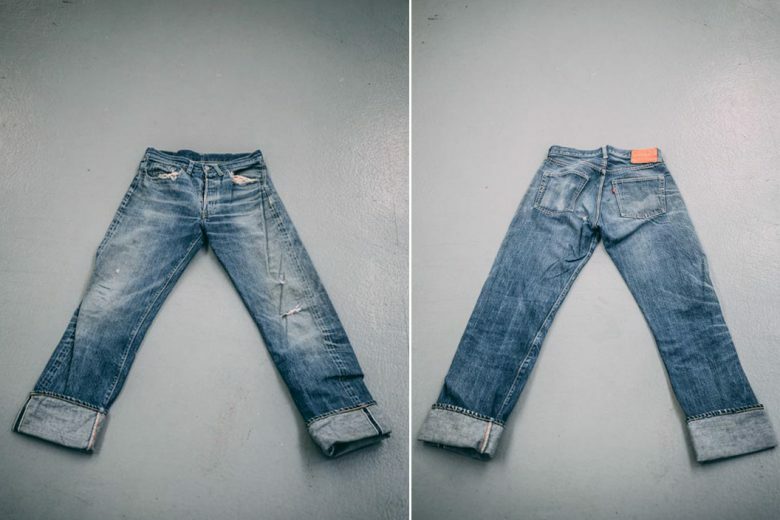 The jeans themselves have that incredible Levis vintage fade that comes only from wear and tear over the decades. Not as stark as the fades of today, but beautifully subtle and including the holly grails of fading. The red selvedge ID has all but vanished, leaving only the faintest pink. And here we see the coveted “roping effect” produced by the Union Special chain stitching. 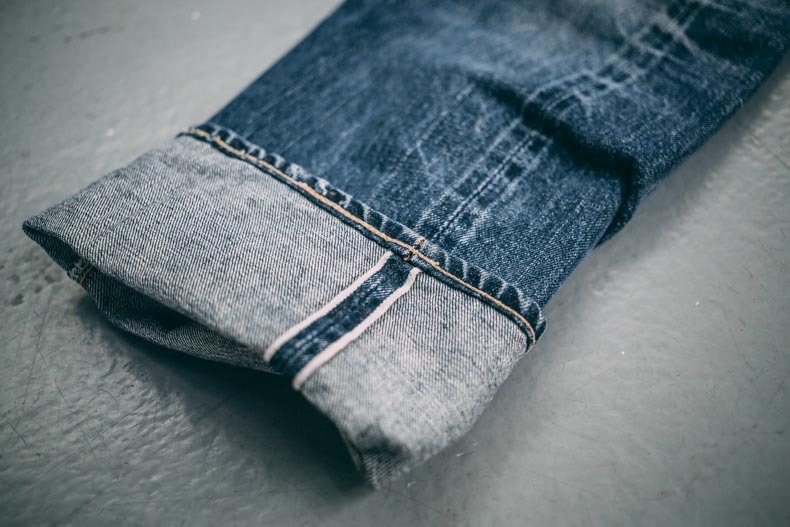 Along with this, extremely pronounced “train track” fading produced by the selvedge line running up the outer seam of the jeans. The Red Tab is slightly worn but you can still clearly see the Big E standing proudly. 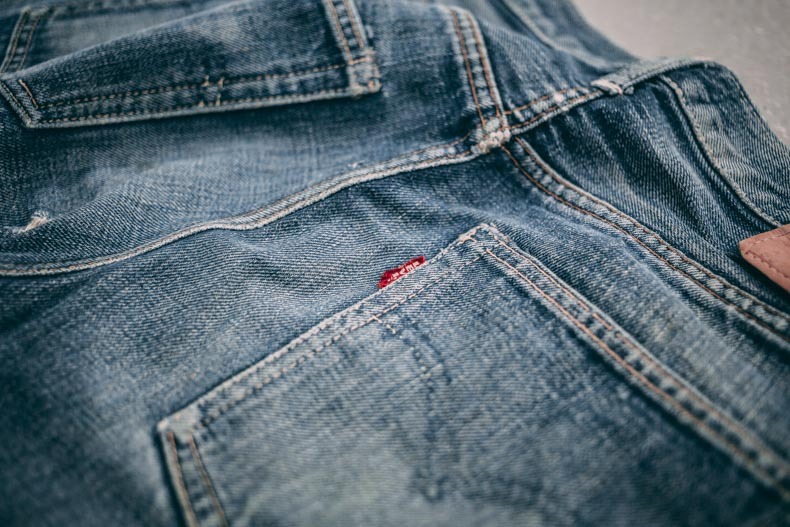 Interestingly, the arcuate stitching is almost entirely gone, leaving in its place less worn denim. 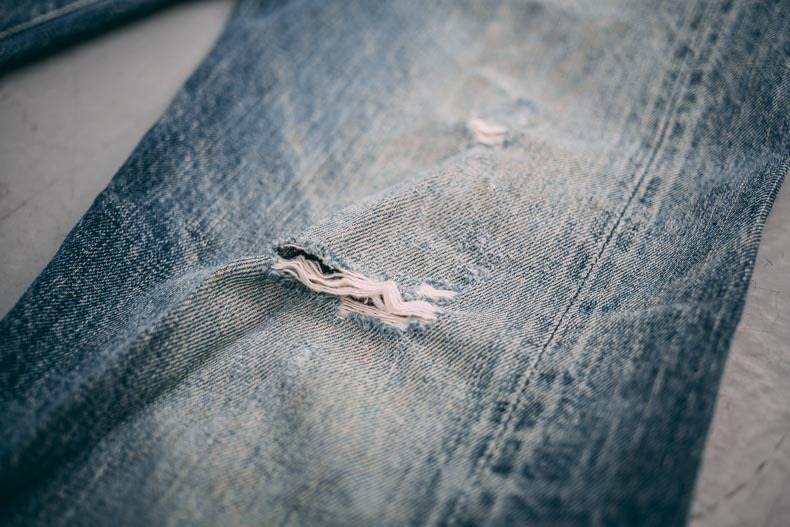 There are various small points of damage throughout the jeans which is unsurprising given their age. But what would that age be? Let’s delve into that in a separate article like we did with Nico’s Type III. 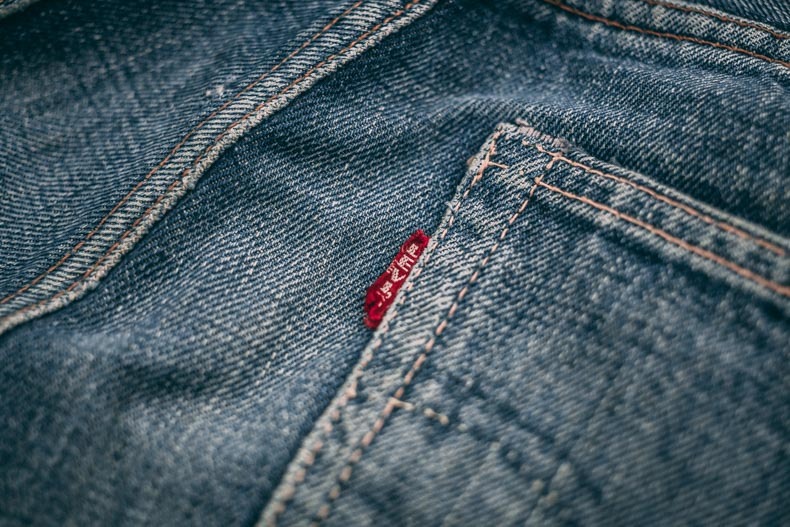 In the meantime, sit back and enjoy some fine vintage jeans.